Here are a range of great handkerchief folding techniques to use for all occasions, such as weddings, christenings, business meetings, formal events and celebrations. Included are suggestions on when to use each style and where to find the perfect handkerchief. The Flat Fold / Presidential style is a no-fuss, classic and super easy technique that gives your suit a smart look quickly. It's ideal for business meetings or a smart-casual event. The Classic Handkerchief is perfect for this look. The One Point Fold is a smart and classic style that is quick to perfect. It's great for adding a splash of colour to your jacket, without being overly fussy. Ideal for weddings and meetings. The Polka Dot Handkerchief works well in this style. 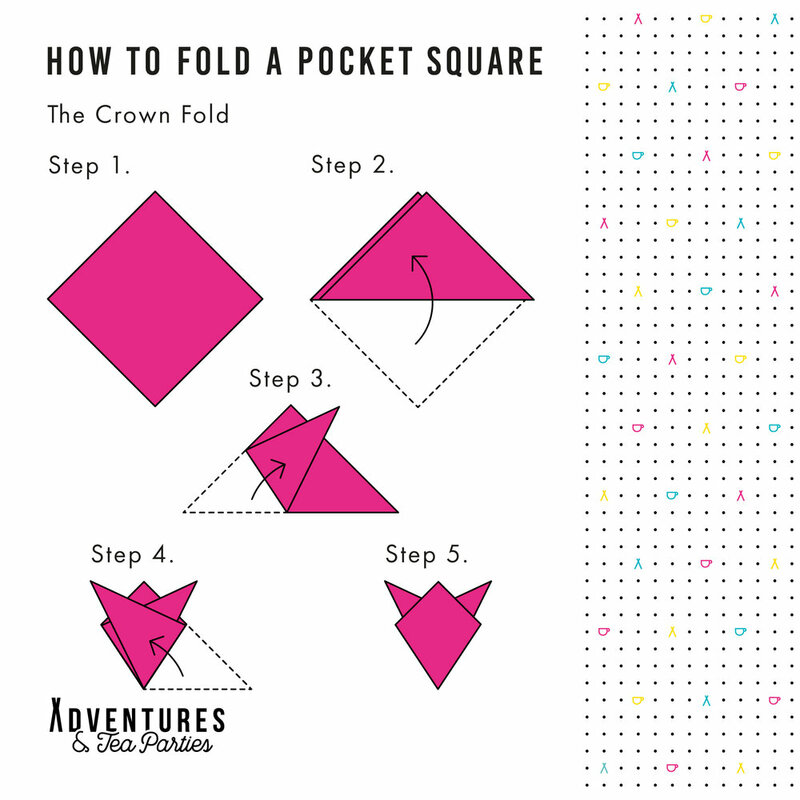 The Two Point Fold has a playful twist that is well worth the effort and it really isn't that tricky. The fun style is perfect for a happy event, such as a wedding, party or christening. The Mix and Match Handkerchief is ideal for this look. The Three Point Fold has a great edgy, alternative feel to it and really makes you stand out from the crowd. The style is perfect for both fun events and is great if you're delivering a presentation to give you the edge. The Double Sided Handkerchief is perfect for this style. The Crown Fold is both fun, smart and super easy to master technique to give your suit that finishing touch. The style is great for work parties, conferences and ideal for weddings too as it also looks like a flower. The Red Rose Handkerchief is a great choice for this look. 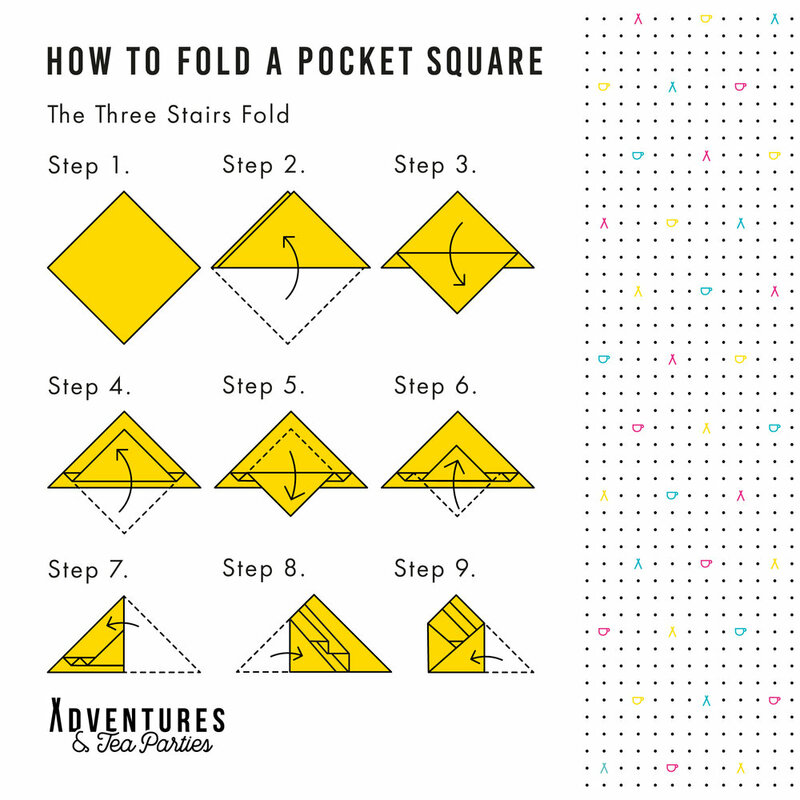 The Three Stairs Fold is a classic and extremely smart look that is well worth mastering. The style is a popular choice for formal business meetings and events. It also looks great on Father of the Bride's suit. The Pink Floral Handkerchief is a good choice for this style.